The gingerbread fingers that all children love! 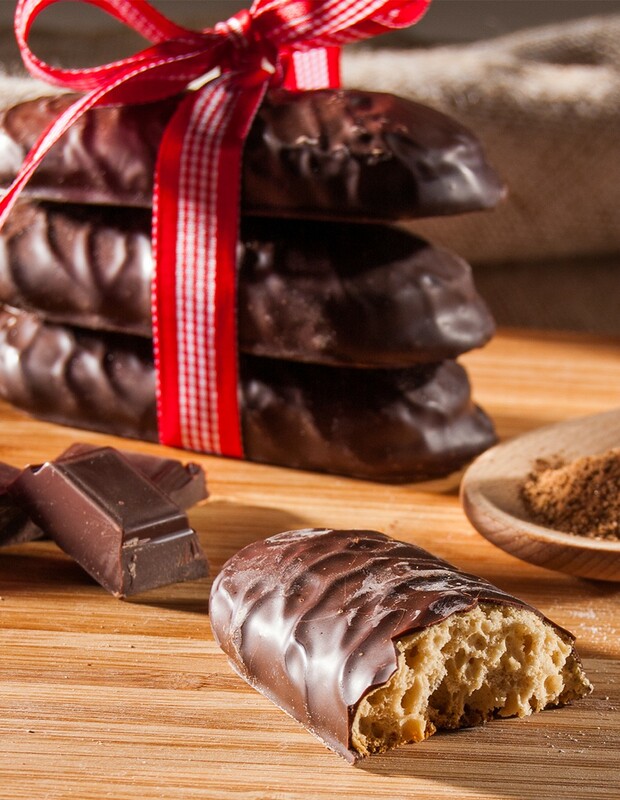 Small almond-flavoured gingerbread fingers coated with dark chocolate. 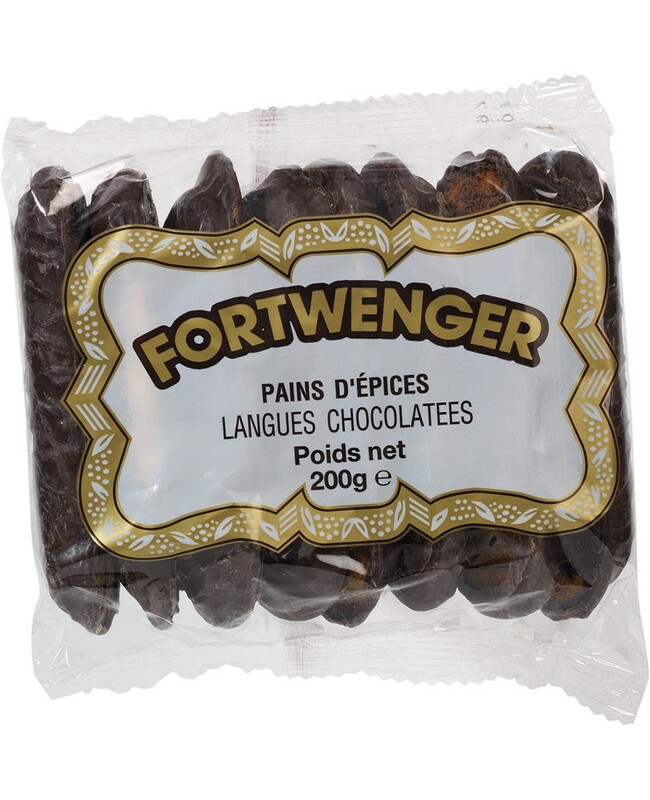 Wheat flour (gluten), inverted sugar syrup, dark chocolate 16.6% (cocoa mass, sugar, cocoa butter, emulsifier: soy lecithin, vanilla flavouring), sugar, humectant: sorbitols; honey, raising agents: sodium carbonates, ammonium carbonates; spices, orange flavouring. Gluten, soya. May contain traces of eggs, milk, soya, sesame seeds, peanuts and other nuts.